(Hed)pe is not only one of those low-end loving, throw your fist in the air, and rocking you straight to the core bands...they are literally one class act. Seriously, in a music culture currently filled with "hip hopsters" demanding paralyzed fans to stand before gracing them with a live performance; or a band bought and paid for by corporations trying to sell more "smart" phones, this is not the world in which (Hed)pe represents or belongs. 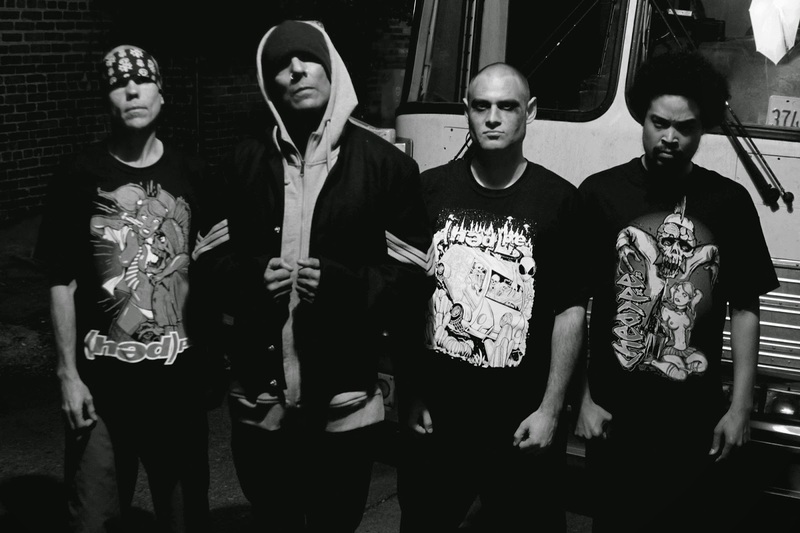 (Hed)pe, promoting their latest album, "Evolution," performed in Joliet, Illinois, on September 5, 2014, with Illinois' own, Dope. It was a huge misfortune of a minor ankle injury that forced me to miss this show and personal interview with the band scheduled well in advance. Yet, low and behold on September 6th, the day after the show, guitarist "Jaxon" Benge rings my phone and asks me how I was doing. What?! I was dumfounded. Who does this? Folks from (Hed)pe do, that's who! After skipping the details of my clumsy self, I got straight to the point, throwing a barrage of questions at him about the show the night before, such as, "What did I miss? Was it packed? Were the Dope fans assholes like usual?" (I'm kidding about the last one....not really). In terms of the most recent album, "Evolution," it is agreed by many (and by Jaxon) that this release is by far the most diverse album (Hed)pe has put out to date. Exactly as named, the band considers themselves to be in a constant state of evolution themselves, always growing personally and musically, thus allowing their fans to grow with them throughout an extended period of time, after all, they have been successfully rocking the faces off everyone in their path since 2000. And, for that, we thank them. As for me...I thank Jaxon for the call and to all of you for reading. To hear more, to see more, to rock more - goto: http://www.hedperocks.com/ NOW.